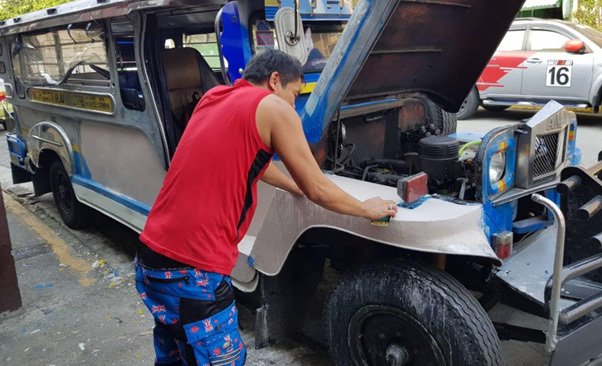 In what can be considered to be one of the most creative and ground roots of projects concerning Bitcoin Cash, comes the BCH Jeepney. Jeepneys (or simply Jeeps), are the most popular means of public transportation in the Philippines. 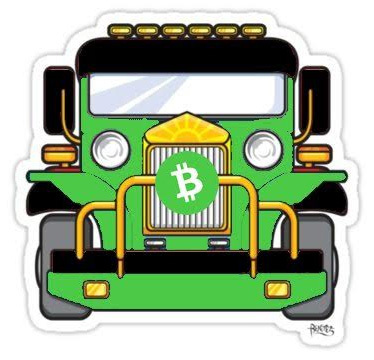 An idea was born to purchase a Jeepney, and use it to promote BCH around the busy streets of Manilla in the Philippines, with a view then, to see this project turn into a fleet, and potentially span other cities and countries. The project masterminds have asked to be named by their aliases “MrG”, “WildCard” and “MrSkatman”. “It’s all MrG’s creation… he lured me in to his mind with an InitialLamborghiniOffering which inconspicuously morphed into a Jeepney. Not knowing what a jeepney was nor how to wrap it with BCH artwork I called on the skills of MrSkatman who jumped in with brilliant ideas to move the concept forward. Within a matter of tweets he escalated our thinking by asking the purchase price, we then started to discuss ways to cycle profits back in and keep the project running. From that, the #InitialJeepneyOffering was born, and more creative people have been included as the project continues to grow…,” said ‘Wildcard’. He has been so excited and encouraged by the project, that he’s taken it further to sponsor a local basketball team. MrG says “their name is Team BCH, in Bulacan City, Philippines. We wanted to get to the hearts of the Philippines for which basketball is played everywhere… It gives us a chance to speak with the locals and get questions answered about Bitcoin Cash and support their community. Every game we have about 5 to 10 people watching and answering question about Bitcoin Cash. Also on how they can download and start using it. We are working on a hand out in Tagalog and English”. Quezon Memorial Circle is the 10th-largest city square in the world by size. This “whole team” that MrG speaks of is made of a list of “chairholders”. These are, BCH fans and supporters from across the globe that have agreed to sponsor a “chair” on the Jeepney. All up there are 20 seats, and the following twitter names have funded a chair for 0.5 BCH. +1 user who wish to remain anonymous. There are six seats left, which will complete the funding for the project. “We have other ways to contribute to the project, including advertising on, or in the vehicle… such as on the ceiling, which looks like a big blank canvas waiting for some BCH activity. Bitcoin.com will be the first to get their logo painted on the sides, and they are kindly gifting us merchandise to give away as prizes during the jeepney journeys. We are open to all ways to make this project interactive,” said Wildcard. While Bitcoin Cash has had an incredible six months of technical developments, it’s certainly reassuring to see developments coming about on creative fronts such as these, which also make a very positive impact in a very different way. We at CoinGeek will be keeping a very close eye on the developments in Manila.